One of my favorite books. Like Dan Brown once said, “The first chapter is a perfect example of descriptive writing” Another must read for everybody. Steinbeck moved briefly to New York City, but soon returned home to California to begin his career as a writer. Most of his earlier work dealt with subjects familiar to him from his formative years. An exception was his first novel Cup of Gold which concerns the pirate Henry Morgan, whose adventures had captured Steinbeck’s imagination as a child. 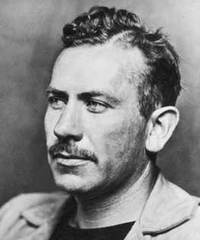 Seventeen of his works, including The Grapes of Wrath (1940), Cannery Row (1945), The Pearl (1947), and East of Eden (1952), went on to become Hollywood films, and Steinbeck also achieved success as a Hollywood writer, receiving an Academy Award nomination for Best Story in 1944 for Alfred Hitchcock’s Lifeboat. Might need to revisit this book:). I love Of Mice And Men! I’m so glad you also added information about the author. I always feel like that’s important when absorbing a classic. thanks for writing and your photos. 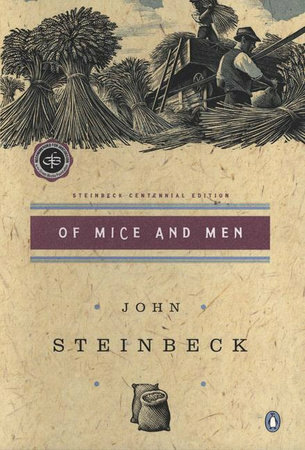 Even as a kid Of Mice and Men stuck with me, its due a reread and a Steinbeck novel. Another of my Favourite Authors!